Transkerja.com - Tumblr Microblog is an industrial company, and social networking services, which is owned and operated Tumblr, Inc. The services provided enables users to send or other multimedia content in the form of short blog. Users can follow other users blogs or set up your own blog privacy. 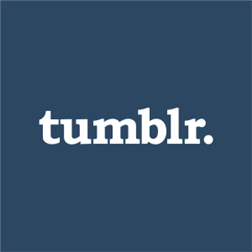 Tumblr was founded in 2007, by a young internet entrepreneur named David Karp, he has created a Tumblr in Japan at the age of 19 years. tumblr in 2013 has 108 million users. Tumblr advantages lies in its simplicity. Users can post via the control panel has buttons for the various types of posts (text, video, audio, photos, links, quotes and chat), but also can be posted on a bookmarklet in the user's browser, instant messenger, mobile phone or a desktop widget. Overall, tumblr memiliki same ease with other online blogs, in terms of sign up and post. However, Tumblr has a menu option in the post such as, text, photos, videos, quotes, links, chat and audio. Users can also re-blog, which means discussing other people's blog posts. In addition we can do status updates on social networking sites via Tumblr, Tumblr can also group photos that users post to the tumblr. Take charge of every aspect of entire features. Gather research and ideas from across teams. Design perfect mockups and prototypes. Present and explain design decisions to the rest of the company. Oversee builds, working closely between engineering and design. Collaborate with our copy and communication teams to maintain a consistent voice. Organize and refine our own resources, leaving projects better than when you found them. An expert in Photoshop and Illustrator. Comfort with CSS and HTML. Experience prototyping motion with tools like Framer.js and After Effects. Comprehensive understanding of Apple’s Human Interface Guidelines and the Google Design Guidelines. Experience keeping everyone in the loop through a bug tracking system like Jira. Strong writing ability. You can communicate verbally as well as visually. Humility and the ability to accept and manage feedback. This is important. Humor, niceness, and an allergy to the platitudes and jargon of the tech industry. Interests outside of computer stuff. A Tumblr user with a deep understanding of the product and community. A portfolio with relevant work. 3-5 sentences about why you’d like to design for Tumblr.